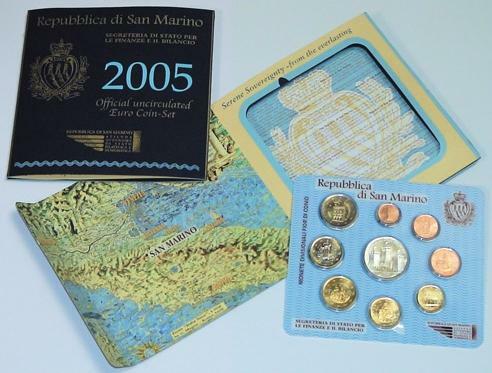 San Marino 2005 Mint Set of 9 Euro coins including a 5 Euro silver, marking the death of Regent Antonio Onofri, 1825-2005. In original Mint folder, Brilliant Uncirculated condition. Engraved by Ettore Lorenzo Frapiccini (5 Euro silver coin designed by Uliana Pernazza).